Weekly photo challenge … [small] Change. My son-in-law is a beachcomber all he trawls the beaches of Rio de Janeiro at dawn with his metal detector looking for treasures. He has found some jewels and even found a particular gem when someone mislaid his wedding ring. However, it is mostly worthless trinkets, beer bottle tops and small change that he brings home. At the end of the month he uses the cash to supplement his household requirements or mostly it is given to the homeless he sees on the way home as the sun comes up. 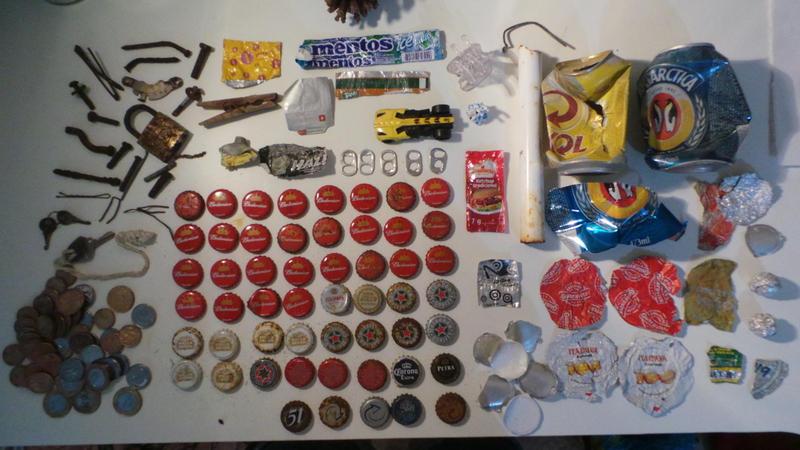 It would seem that also his hobby has attracted the interest of the local authorities and finds will be used in an exhibition to raise awareness in the issue of litter and the pollution of the beaches.